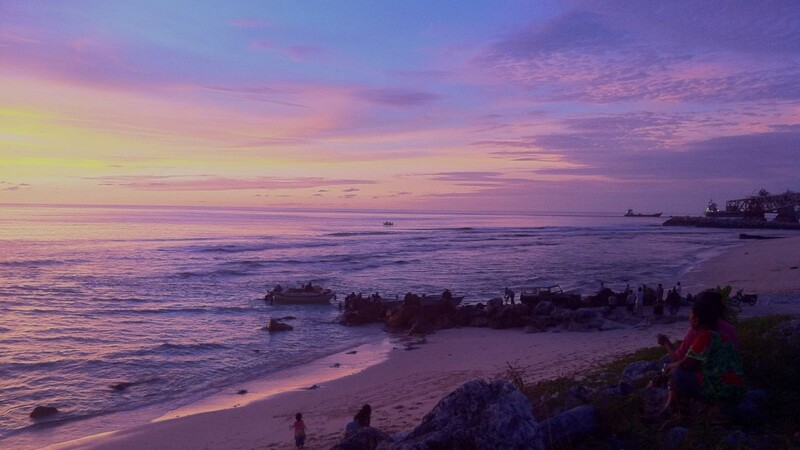 There are two hotels in Nauru, the largest is the sea-side Menen Hotel which also has a bar and two restaurants onsite. The Menen hotel was built in 1969 by Nelson Architects, and it was once was considered one of the most luxurious hotels in the Pacific. The hotel is large with 119 guest rooms. There are also conference facilities available which are big enough to accommodate around 200 people. The hotel has a gaming rooms which is popular among guests. There is also a beautiful swimming pool, tennis course, barbecue facilities and a well-stocked gift shop. There are two restaurants at the hotel. Between them, they serve Thai, Chinese and other cultural foods. The hotel bar is the only nightclub in Nauru. The second hotel is the OD-N-Aiwo Hotel. This hotel is the cheaper of the two and is a complex of three to four stories. It is run by a family and is very popular with backpackers. The OD-N-Aiwo Hotel also has two restaurants. They offer Oriental, Western and Pacific style cuisine. There is also a laundry and car rental agency onsite. Although not a ‘hotel’, the other accommodation available on the island is at Ewa Lodge. The accommodation is owned by Capelle & Partners who run the largest local Supermarket, which is located directly below it. The lodge provides guests with fully furnished, self-catering apartments. Rooms are priced at $110 for a single room and $135 for a twin. A self catering apartment is $135 for a single person or $150 for a twin.